Have you heard of Envelop? It's an online shop where illustrators/designers can upload designs that can then be bought by the public and printed on demand onto cushions, tote bags, aprons and more. There are all sorts of cool designs on there. 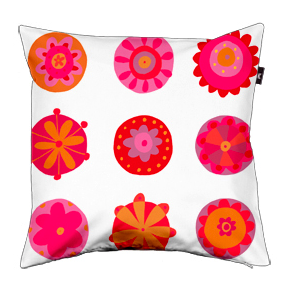 I've been meaning to try it out for ages, and have got my first cushion design up now.